Swamp Girl. . 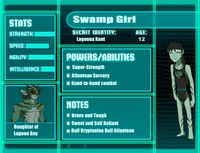 Images in the Young Justice OC'S!!! club tagged: photo.